I Keep The Smile In My Heart is a painting by Adrian Borda which was uploaded on October 7th, 2010. 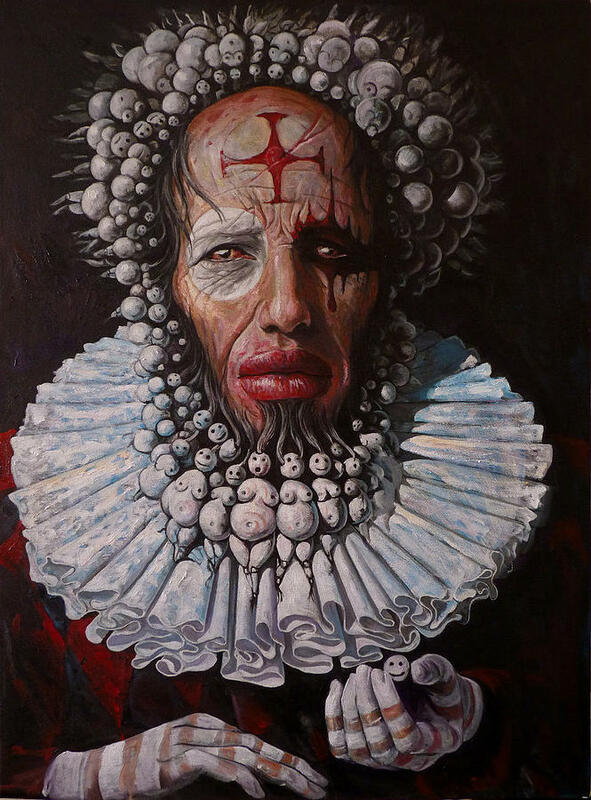 This looks a little like the love child of Marilyn Manson and Queen Elizabeth I. Brilliant work and more than a little scary.